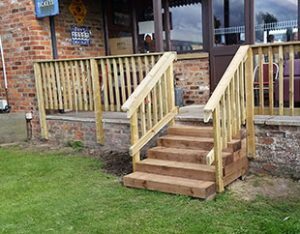 Adhoc Handyman provide fencing services in and round the York area. Be it from simply repainting your existing fence or wood treatment to replacing single fence panels or a full replacement of garden fencing panels. 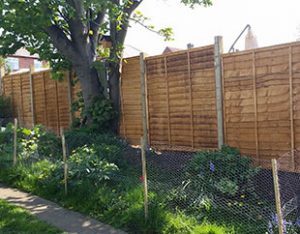 Whatever your fencing requirements, Adhoc Handyman of York will offer a free no obligation quote and give you clear honest advice as to the best solution for you. Contact us today on 07878 256771 for a no obligation quote. Rather than replacing the whole fence, failing fence posts and fence panels damaged through high winds (or that rather wild attempt on goal by your football mad children), may only require a fence repair. 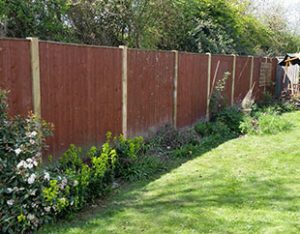 Fence posts or panels can be removed and replaced with new – reducing the overall costs of the fencing repair. Call us today to receive a free no obligation quote. Should your old fence need to be replaced or a new fence erecting, we can help. Using only the best materials, we can install your new fence in a time and budget to suit. We can even match the existing fencing should this be required. 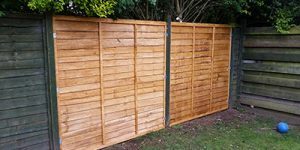 There is a wide choice of fence designs from conctrete posts to timber posts, standard lap larch to the traditional picket fence, from the decorative bamboo privacy fence to a more substantial wooden privacy fence. Aluminium and PVC fencing is also an option. 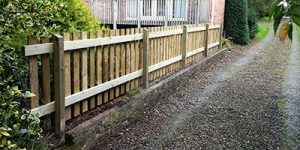 Whatever your requirements Adhoc handyman can supply and install quality Fencing Services in York and surrounding areas. Fabulous quick and tidy job from Matt at a good price…. we’ve just had part of the garden re – fenced which was tricky in places. Matt talked to us for around two hours about various options , even though at that stage he knew we intended to get other quotes….. we looked no further and we are delighted with the result. Thank you Matt! There’s plenty more where that came from…. you ll hear from us again! Did a fantastic job replacing the old rotten garden fence with a new concrete post/base version. I can’t recommend Matt highly enough. A sample of the fencing we have completed. To see more work, please visit our latest projects pages.